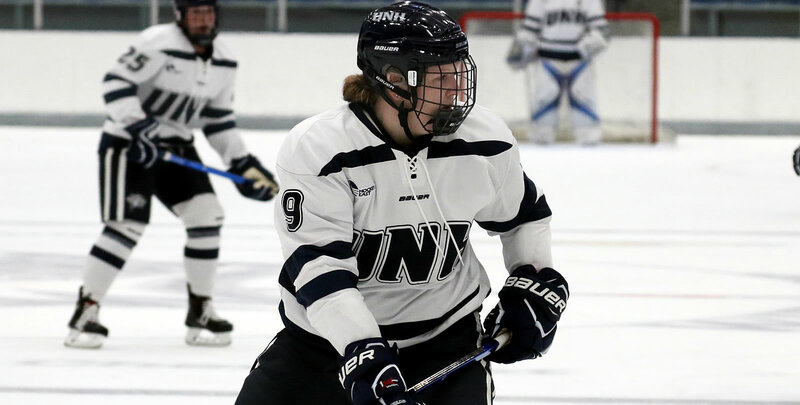 DURHAM, N.H. - For the third straight meeting, the University of New Hampshire women's ice hockey team tied the Rensselaer Engineers, 1-1 on Saturday afternoon at the Whittemore Center. Freshman forward Paige Rynne (Ancaster, Ontario) tallied her second goal of the season on a late power play, with the Wildcats down by a goal, to level the score at 1-1. Senior captain Kyra Smith (Littleton, Colo.) stopped 21 shots for her first tie of the season, stopping all four RPI shots in overtime to preserve the tie. The two teams will square off again on Sunday, November 25 at 2 P.M. For tickets, visit UNHWildcats.com or call (603) 861-4000. Location: Whittemore Center Arena - Durham, N.H.
- The Wildcats held a slight 10-6 shots-on-goal advantage at the end of the first; no goals or penalties came in the first period. - New Hampshire got two power play opportunities in the second period, tallying a total of eight shots but was held without a goal in the second. The Wildcats led in shots 13-8 in the second to take a 23-14 advantage overall. - The Engineers also had a power play opportunity in the second period; the Wildcats allowed just one shot on target on their penalty kill. - RPI struck first 11:10 into the third period with a power play goal off a rebound; Lauren Severson took a rebound from Smith's right side and snuck it in under the bar to take a 1-0 lead. - The Wildcats returned the favor 13:28 into the period on a power play goal of their own. Paige Rynne got a rebound out in front from Nicole Dunbar (Coto de Caza, Calif.) and snuck it past the left side of Lovisa Selander. Also assisting on the play was Carlee Turner (Scottsdale, Ariz.). - With neither team able to score again in the third, the game went to an extra frame with RPI outshooting UNH 4-3 in the extra period. - After tying 1-1 last year in both games in their series, the Wildcats and the Engineers have now ended three straight matchups with a 1-1 draw. - With assists on the game-tying goal, Nicole Dunbar and Carlee Turner have extended their point streaks; Dunbar is now on a two-game streak (2a, 2p) and Turner is now on a three-game streak (2g, 2a, 4p). - The Wildcats tallied 44 shots on net in the contest; their last game with that many shots was a 2-2 tie with Vermont on Nov. 3, 2017. - Both goals from Paige Rynne this season have come on the power play.